Year after year, the tools that I use typically change. But the ones that last are usually here to stay. Habit tracking with Loop Still using! I've been tracking tasks that I want to make sure to accomplish each day. There is something so satisfying about tapping those tasks to check them off. Investing with Acorns Nope, but maybe in the future! I liked this idea a lot but when our budget became tighter this year, I didn't like not knowing when or how much money would be transferred from my bank account. I wish the roundups were immediately withdrawn instead of in a lump sum. Gym tracking with FitNotes Nope, but maybe in the future! My gym membership lapsed a few months ago. I plan to renew it but family budget constraints have put that on hold. Daily journaling with IFTTT Still using! While I don't manage to journal every day, I do use this quick method to jot down a sentence or two on a regular basis. 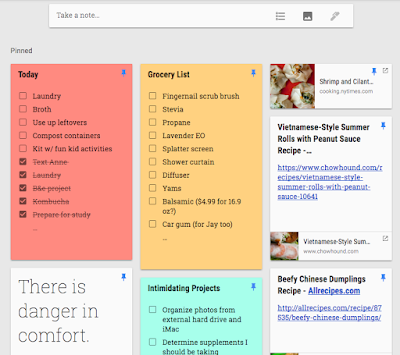 Recipe organization with Evernote Still using! I add new recipes to my Evernote notebook on a weekly basis. To keep up with the tag structure that I implemented last year, I make sure to update any recipes that I've cooked with the 'MADE' tag, and add tags when clipping from the internet. Track what I've readin Airtable Still using! I haven't done as much reading lately, but when I do, I make sure to update my custom Airtable database with at least basic information about the book. Scanned my journals into Evernote Completed This was a project that I'd been working on for quite some time and just a month or so ago I finally finished it up! I scanned all of my paper journals from my childhood and teenage years into Evernote using a Doxie scanner. It was labor intensive, but allowed me to get rid of the paper copies without a hint of guilt. 1 Second Everyday videos Still using! While I haven't exactly stuck to taking a video every single day, I'm at least saving multiple videos per week. It's a fun way to look back on highlights (or just daily monotony) from the year. Google Reminders Still using! Combined with Google Calendar reminders, using the voice recognition to remind myself about future tasks has been pretty effective. 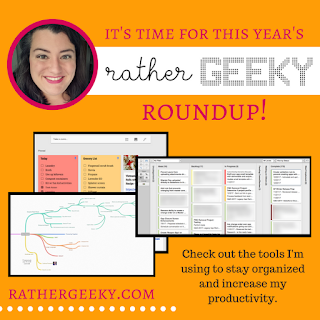 This year, I didn't add a whole lot of new tools and techniques to my geeky repertoire. Instead, the focus seems to be on LESS. Less social media. Less digital clutter. Less time-wasting. Below is an overview. 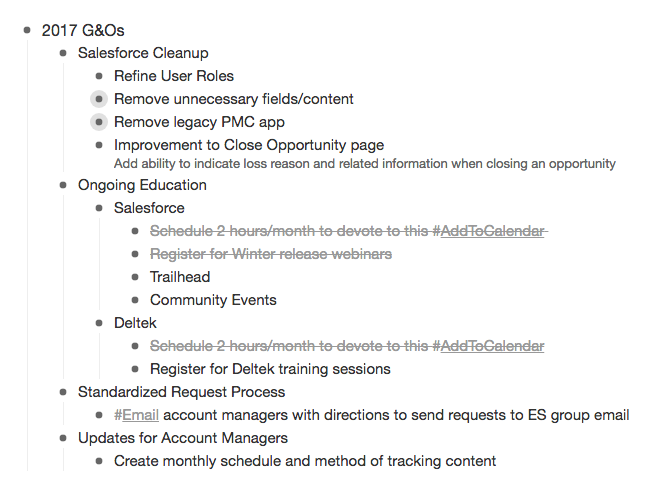 I'd love to hear about what you've implemented this year to improve your efficiency or organization (personal or digital). Please share in the comments. 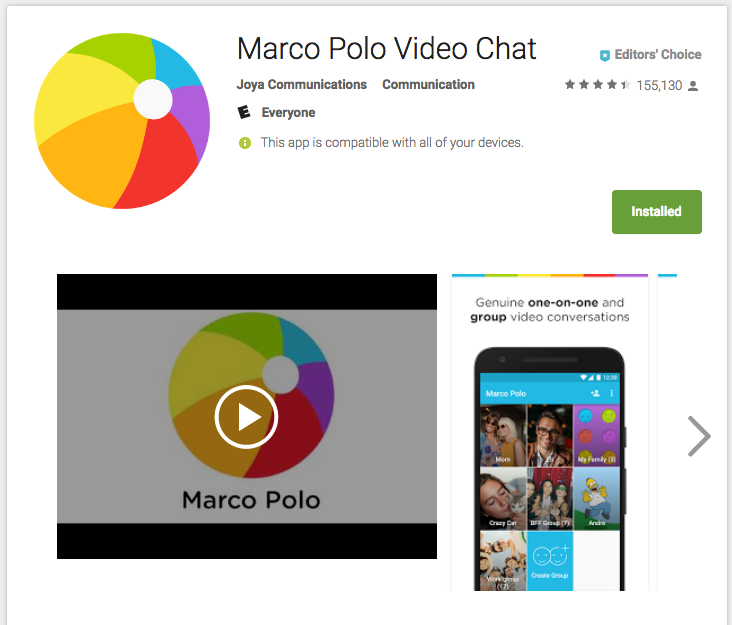 Marco Polo is an app that lets you basically send video messages back and forth. It's a lot quicker than recording a video and texting it. I'm only using it with a handful of close friends and family, but I've noticed that I feel a lot more connected with those people than I had just with social media and texting. I like that I can send a message when it's convenient for me, and the recipient can watch when it's a good time for them, although sometimes the conversation is back-and-forth in nearly real-time. I want to determine a color coding key, but for now I'm not that organized. I've just started using labels, such as Coupon, Research, and To Purchase. I love that I can add reminders to specific notes too! I also appreciate that I can edit my notes on any of my devices. 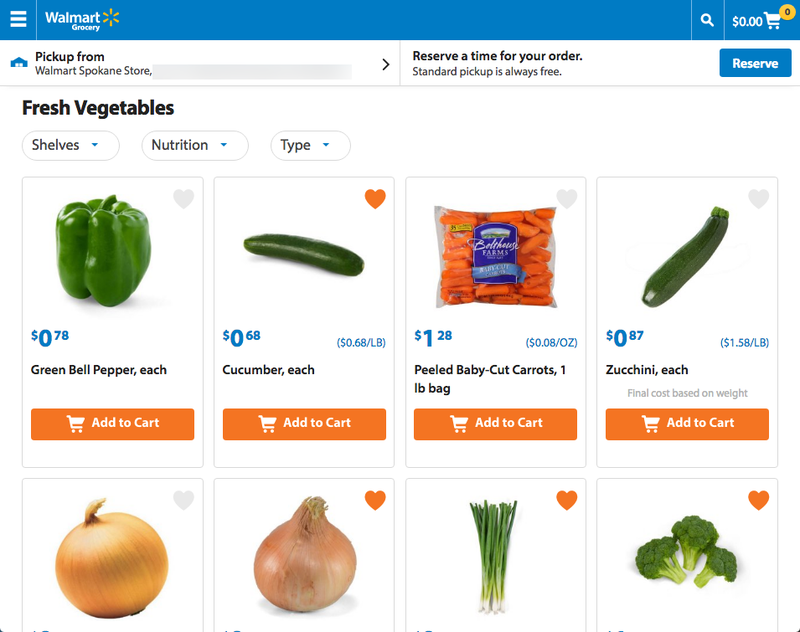 Walmart now offers a grocery pickup service. You order your groceries online, schedule a pickup time, drive to a specified parking area, and they load your car. I know there are other stores that offer this (Target and Fred Meyer are two that I've heard of) but this is the first one I've tried. When I was sick and needed some cough medicine, Emergen-C and ingredients for soup. 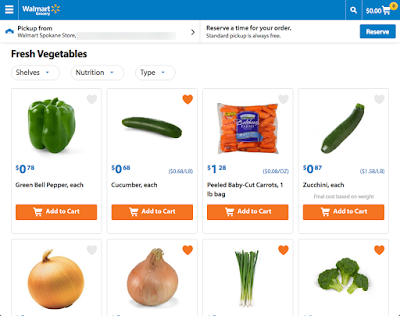 When I had a super busy day and was cooking a dinner in the evening - I ordered the ingredients I needed to make several recipes by having the Walmart Grocery site open in one browser window and my recipe in another. A side benefit is that using this service helps me stick to my budget as I'm not wandering around and buying things that I don't really need. I used to be proud of my color-coded and organized email inbox. But lately, I'm more focused on just doing the stuff and less on making it look nice. I've stopped using most of the labels that I previously organized meticulously. Instead, I just rely on Gmail's search functionality. So close to Inbox Zero! And note: no labels. Usually my preferred task management tools fade over time, but Smartsheet (for my day-job work tasks) has been going strong for most of the year. 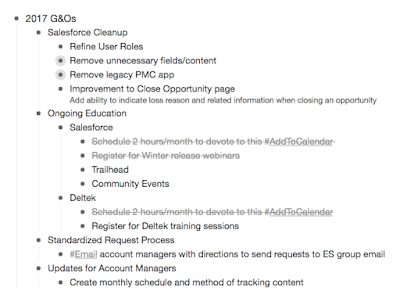 I really like the ease of customization, and how easy it is to drag and drop my tasks in card mode to update status. For personal use, I keep trying to use Trello but I just can't figure out a use-case yet. I likely will someday... because I remember feeling the same way about Evernote back in the day, and now I can't go a day without using it! 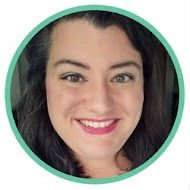 In a moment of organization desperation, when I couldn't seem to organize my thoughts and upcoming tasks well and needed a tool that didn't have a steep learning curve to get myself over the hump, I started using Workflowy. 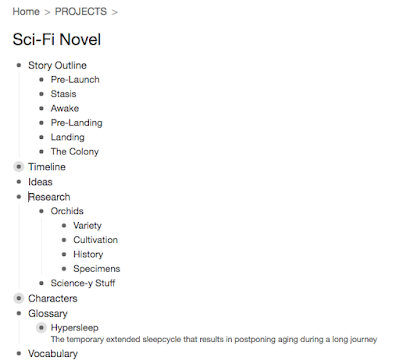 It's a really handy tool that helps me to focus on getting ideas down and organizing my thoughts, instead of worrying about how to format the content. I'm trying this out for my work life and personal life. One particular project that I'm excited about is a novel that I've been attempting to write. 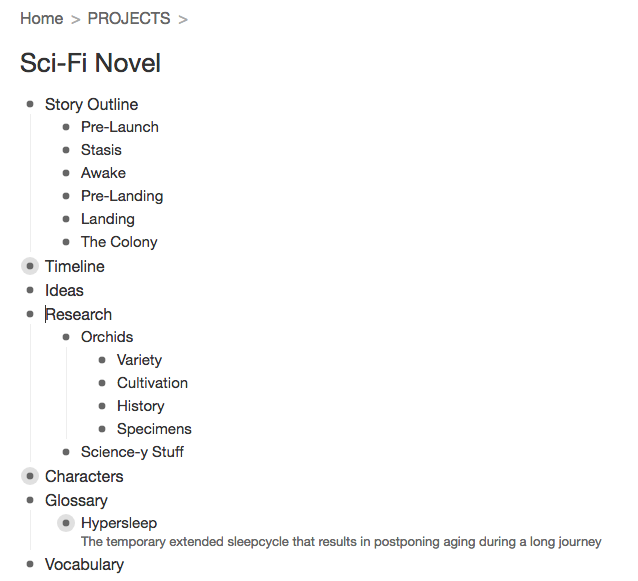 I've made limited progress and was feeling overwhelmed, but after using Workflowy to outline the entire story, it's actually starting to feel doable. I recently tested out deactivating my Facebook account. I only posted a few times in the last year and have noticed that my interactions have become less meaningful over time. In addition, Facebook's reminders of what I posted in years prior often stirred up negative memories: the loss of a dear friend, a former relationship that didn't end well, things I shared when I was stressed. I'm not sure if I'll delete my account entirely; there are still some good memories there. But I don't see it adding a lot of value to my life at this point. I still like to explore Pinterest when I'm looking for something specific, but it's amazing how much of a time-drain it can be when I find myself just 'browsing'. For me, Pinterest isn't the best way to organize ideas because there isn't a secondary level of filtering/sorting. eg: If I want to separate recipes I've made from those I want to try, without transferring pins from board to board. I prefer Evernote for that. I add recipes to a Recipes notebook and then add labels like 'Made' and 'Breakfast'. I also don't like the fact that I can't verify that the source of a pin is valid. For example, I might find a recipe pin that looks wonderful but the underlying blog that originally hosted the content is now private. That's disappointing. When I find a recipe (or other content) that I want to save, I clip it to Evernote for safekeeping. As I've realized that saving things on Pinterest doesn't work for me long-term, I've gradually migrated the majority of my pins (after verifying valid urls) to Evernote where I can more easily organize them. 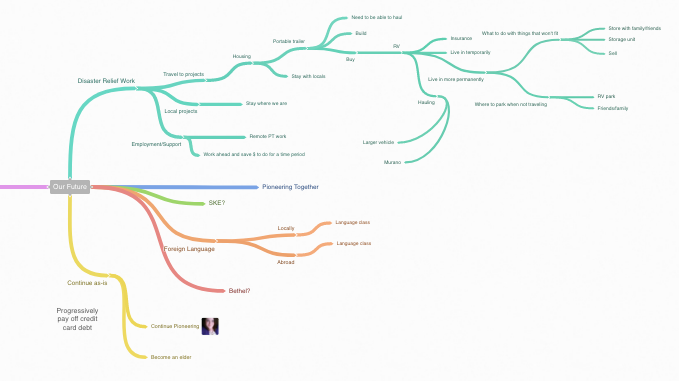 I've never quite understood how to apply the idea behind mind mapping in a practical way. 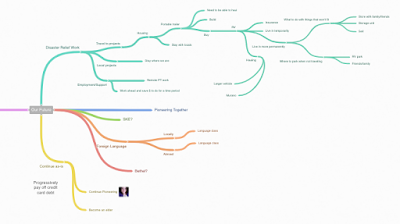 I liked looking at other people's mind maps but just couldn't figure out how to utilize them myself. I'm still figuring this out, but I started using Coggle to create a collaborative 'Our Future' map with my husband to document some long term goals and life plans. I really wanted to make it to 10, but maybe the fact that I'm not adding a plethora of new tools means I'm better utilizing the ones I already have. Maybe. 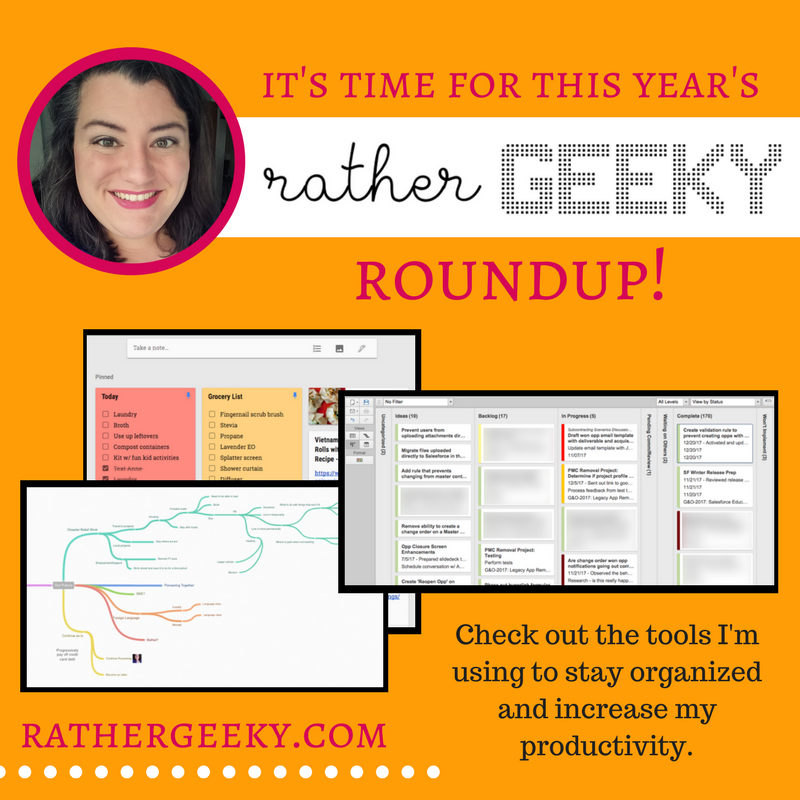 What did you implement this year to stay organized or improve your personal productivity? Note: This post is not sponsored by any of the companies/tools that I've mentioned here. These tools may or may not work for you. I'm just sharing what I've found useful personally. Long time, no posts. 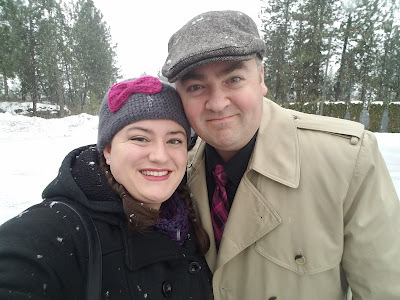 I'm trying to figure out where this blog fits in and whether or not I can (or want to) continue updating it on a regular basis. For right now, I'm just posting when the urge strikes... which obviously isn't often. Thanks for bearing with me. Yesterday, I was working on a slidedeck that included a comparison of several different technical solutions. At the end, I wanted to convey a visual summary of the risks and benefits of each option. Five minutes before I was to present the slides, I was frantically googling to find the perfect icons to use. I wanted some sort of red/yellow/green lights or gauges, some way to show high/medium/low risk or represent level of effort. I couldn't find anything that I liked (and didn't have to pay for). I realized with just a minute or two to spare that I didn't need anything fancy for what I wanted to communicate. 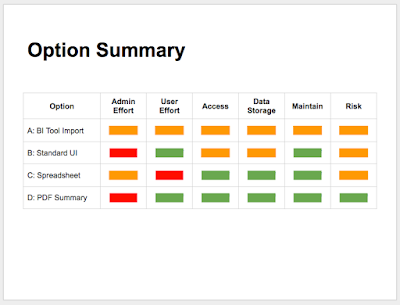 I could use simple colored bars in a table on the slide. I had started off with text (low, medium, high) and changed the color of the text to correspond to a rating. Then I added highlighting and adjusted some spacing so they'd all be the same width (which is why the text looks a bit funny). The resulting chart effectively conveyed my message. Just a little reminder that sometimes simple is best.